I suspect that many of us–well, those of us of a certain age–have an image of Billy Graham etched in our minds: the patriarch of TV evangelism standing in the pulpit and holding the Bible aloft as the very Word of God. However, few of those in Billy’s audiences, few of those who gaze reverently at the Bible on the altar every Sunday at church, realize that the richly bound, revered book isn’t the real thing. It is the processed word of God. What do I mean by that? Can’t we just pick up the Bible, open it and read God’s Word? No, it’s not that simple–even if you believe that the Bible is God’s Word. Everything we see on the pages of any modern Bible is the product of countless hands and minds that were involved after the original authors wrote the books in it. 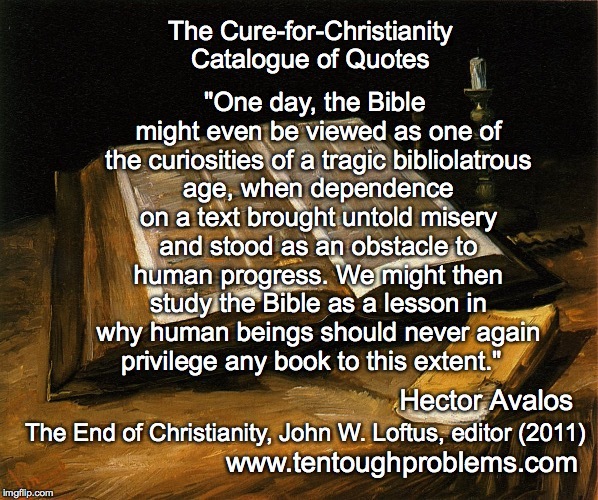 So there are many uncertainties that stand between the reader and the original Bible authors and texts. It’s processed material. For example, the earliest Greek manuscripts were written with no separation between the words and no punctuation, which can lead to confusion. Someone later made the word separations and added the punctuation. There is a complex history of manuscript copying and recopying–and an enormous number of scribal errors to deal with. There is also the matter of translation, the meaning of words, and which manuscripts to rely upon. These issues required thousands of decisions–some informed, others not. All divisions into chapters and verses came later. Some Bibles print the words of Jesus in red, which may give the impression that these are the very words of Jesus, which is misleading. We are reading English translations of Greek manuscripts that purport to record words spoken by Jesus in Aramaic, perhaps a generation or two earlier. Was a stenographer present? It is false advertising to print the (supposed) words of Jesus in red. And now we are confronted with many contemporary translations that attempt modernization and paraphrasing of the text, which allow the biases, prejudices, and agendas of the translators to have a voice–and there have been blatant, egregious distortions. Beware: The translators are commonly conservative theologians who do have their own agendas. It is a theological affirmation that the Bible is the Word of God. 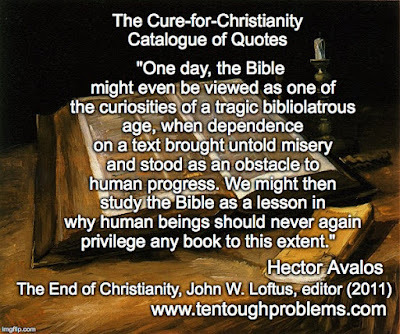 But even if you do believe that, it is important to remember that the modern Bible you hold in your hands is the product of ongoing adjustment and manipulation over the centuries. Some of the pious handlers of the “holy text” have been competent and conscientious, but far too many have not been.